Hello everyone! I've been working on a game since October by the name of Super Pretentious Underground Dungeon. It started as kind of a satirical project on the indie scene, but it's evolved into something a bit different and a bit more sincere. I'm not a very good artist. Composing and coding is within my reach, but art is one of those things where I can work with it but can't create anything stellar. 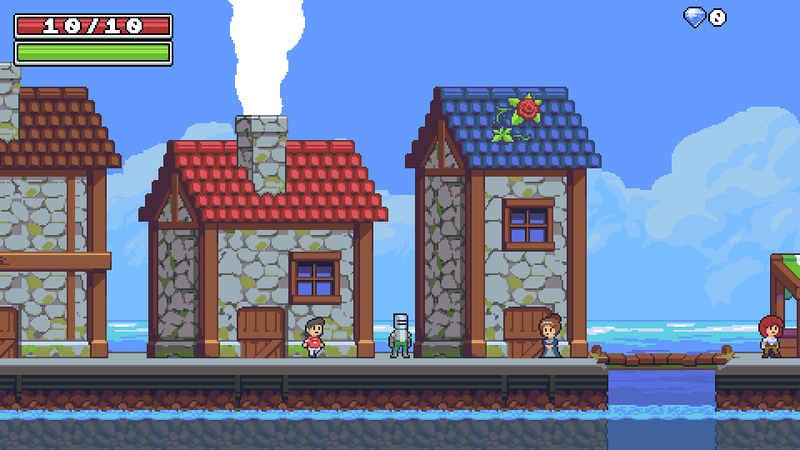 I decided to go with the OPP assets for my game because of the amazing art direction and dedication from the community. I've been posting some progress for it on Twitter and such, and Hapiel got in touch with me and asked me to post here in the OPP subforum. I would have done it earlier but I kept getting cold feet, but here I am. 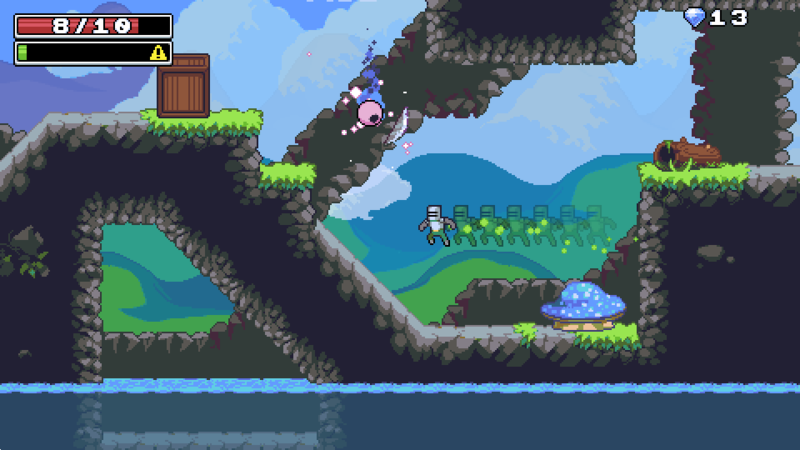 The game plays similarly to other platforming games such as Spelunky, where the player must reach the end of a series of levels while collecting randomized powerups and fighting enemies. While the progression of worlds is mostly static, the levels are chosen from pre-designed pools. There are multiple player classes with different abilities and playstyles. There is an early alpha with some basic features and a test room if you would like to try out the game. Any and all feedback/criticism is greatly appreciated. There is a lot of placeholder stuff. I wanted to thank you guys from the bottom of my heart for creating an accessible, fantastic asset pack for artistically-challenged people such as myself to use. Keep up the great work, you guys are the bomb. Very cool. I like it, fast-action and tight controls, I like that the characters give different playstyles. Can't comment to much about the "shift"-actions, since it's hard to know how/when they become useful. - The shift-action for the wanderer seems too nerfed as it is now, it's more high-risk to step in close to the enemies and drop a bomb with little payoff (not much damage) when you can instead use your projectiles to do double damage and at a faster rate too. I suggest increasing the damage so it does more or close to the damage you would deal with the regular shots during the same time-span. 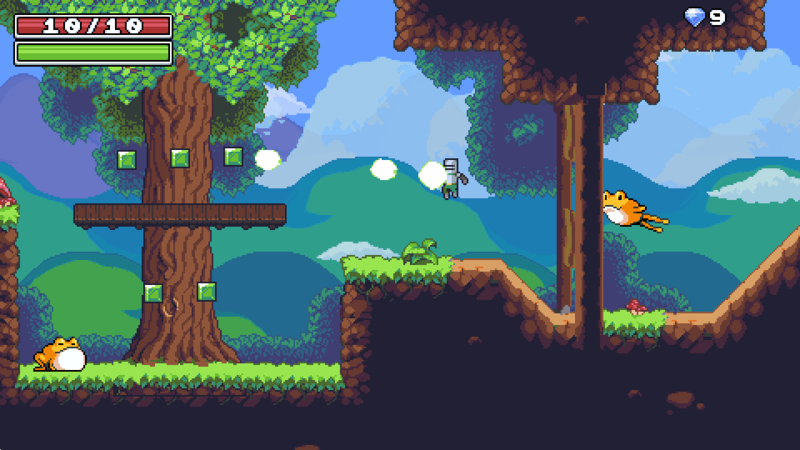 - The projectiles from the bomb-throwing enemy are too hard to see against the background, make it a brighter color. - I did manage to get a bug where I could "get stuck" on walls if pushing the arrow key against the wall in mid-air. When restarting the game I couldn't reproduce, but it's something to look out for. It makes me so happy to see the tiles in use :)! Also I love seeing the combination of jungle and castle, it works surprisingly well! Hey guys! It's been awhile, but I've still been working on this. Still a ways to go but a ton has gotten done. I thought I would upload some of the edited OPP assets I've been using in case you guys might be able to get some use out of them. The readme in the download has a lot more in-depth information on what exactly is changed, and what's new. Here are some SPUD screenshots too. Thank you so much pringle! I recolored a couple of your assets back into DB32, such as the explosion effects, and recycled them back into the set. Soon you'll be seeing more from us when we publish our new website and upload the tiles in a more organized way!